I am now the owner of a Hello Kitty handbag. Do you think I can also use it as an innocent-looking camera bag? Mooncake packaging keeps getting fancier each year. As a gift, the mooncakes from Good Chen are quite unique as they come in/with a cute handbag. The cakes are also embossed with the cartoon character, including those of Spongebob and Doraemon. I bought two flavours from their Hello Kitty range to try. As photographed here; the Ultimate Brown Mix which is Hazelnut Coffee. At right, the Coco Diva is lotus paste with macadamia nuts and choc-oreo biscuits coated together with Belgian dark chocolates. Yumz! The annual Mooncake Festival is also known as the Mid-Autumn Festival or Lantern Festival in Malaysia and Singapore. It falls on September 19th this year. Olympus OM-D, ISO 200, f4.5, 1/50 sec. 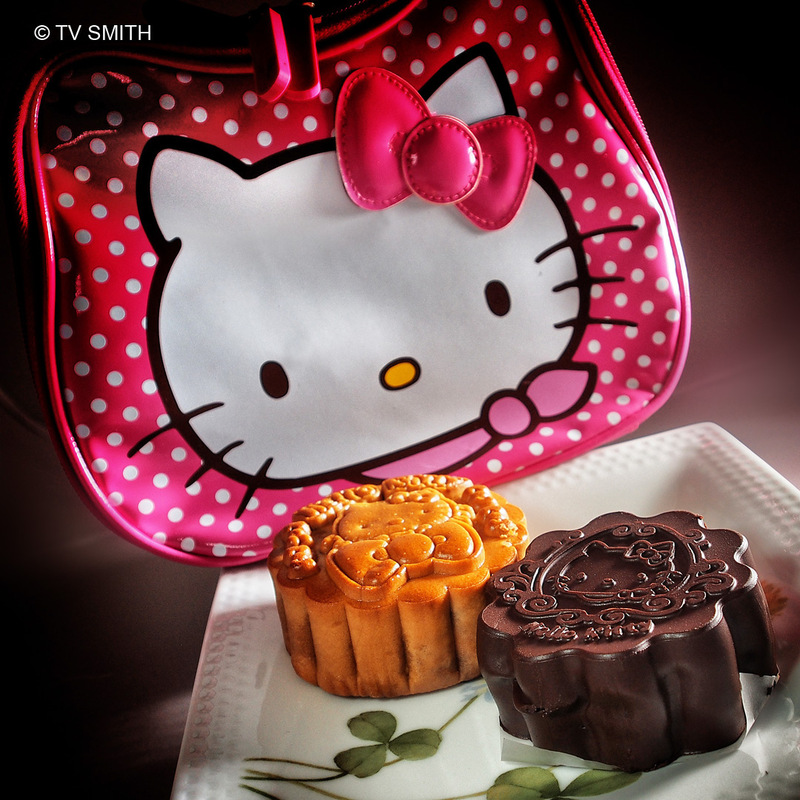 This entry was posted in Culture & Festivals, Food, Instagram, Olympus OM-D, Photography and tagged chinese festival, hello kitty, lantern festival, mid-autumn festival, mooncake, mooncake festival, mooncakes, olympus, om-d by TV Smith. Bookmark the permalink.